There are numerous ways to de-stress the brain, and listening to music is just one of them. The next time you put on your headphones or crank up the stereo, you just might be helping your body to fight disease as well. Experts in the field of neuroscience have discovered that music boosts mood, which changes how our body reacts to stress, and even ignites some interesting chemical responses to help it fight foreign invaders like viruses and unwanted bacteria. In fact, Dr. Ronny Enk, a researcher associated with the Max Planck Institute found that listening to music for just under an hour can help change the number of antibodies in our physiological system. Might it be that Mozart and Nirvana have an equal place in our list of tunes on heavy rotation? Based on this research, maybe. “We think the pleasant state that can be induced by music leads to special physiological changes which eventually lead to stress reduction or direct immune enhancement. Stress reduction probably plays an important role, but the stress reducing effect seems to be different for various types of music,” Dr Ronny Enk said. Antibodies are secreted by our white blood cells which then attach to what are called B-cells, a specific type of cell that has an uncanny ability to search out and find foreign invaders and to remember them even once they are eradicated form the body so that they have no chance of depleting the system a second time. Also called immunoglobulin, antibodies are needed to fight everything from the latest H1N1 virus being exported from China, or just fighting off the common cold. These immunoglobulins are found in breast milk, and are largely responsible for a baby’s boosted immunity (which is why breastfeeding is so important). 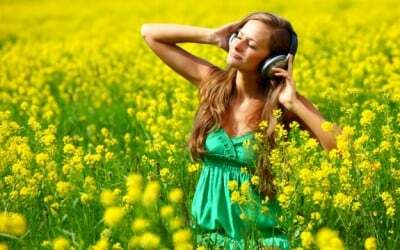 Futhermore, this particular research found that it doesn’t matter which kind of music you listen to as long as you, personally, find it pleasing or uplifting. Other studies prove that we tend to gravitate toward music which is slightly novel but which keeps in line with our cultural biases, so if you grew up on Rock and Roll, or Indian Raga, you’ll still build antibodies no matter what you listen to. Lastly, music lowers cortisol, one of the main stress hormones that makes us feel angry, tired, and frustrated. Stress also dampens the immune system, so either way you look at it, listening to music is good for you – as if you didn’t already suspect that! Tell me the old, old, story! Intellectualising folklore. When one feels unwell it is more likely that music or noise of any description will irritate and presumably depress immunity. This depressive effect also applies to those in advanced years. Hardly what could be described as a piece of profound research but enough possibly to prevent the researchers from blushing when their monthly pay cheque goes into the bank.